For some decades, doctors have been prescribing aspirin – as blood thinners – to anyone with the risk of heart disease. But does it really help? This has never been thoroughly researched. Recently, a group of American and Australian scientists conducted three major studies to find the underlying cause of this question. And their terrifying findings regarding the myth of aspirin was published in The New England Journal of Medicine. In the first of these, the scientists gave 19,114 American and Australian seniors who were over the age of 65 either a 100 mg dose of aspirin or a placebo (fake tablets) daily. 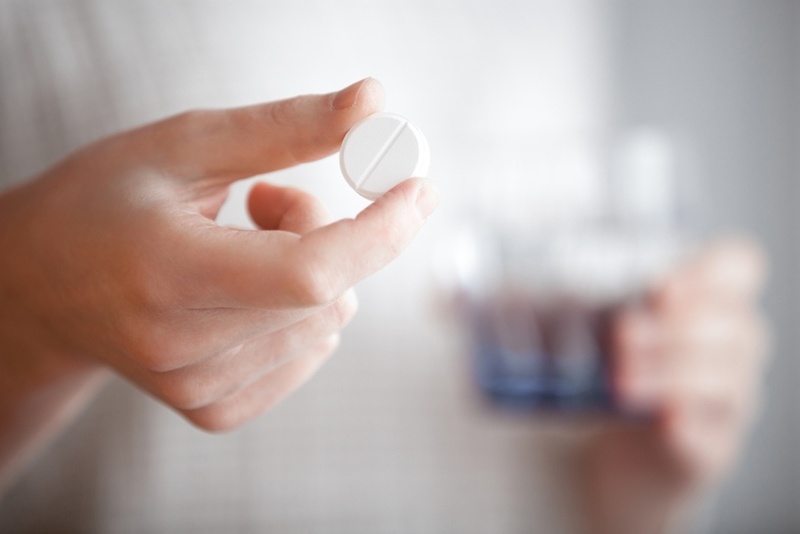 After an average of 4.7 years, no difference was found in the rate of cardiovascular diseases between the two groups, suggesting that the aspirin did arguably nothing. The huge downside was that those who did take aspirin were 38% more likely than the placebo users to suffer from a major hemorrhage. These hemorrhages included uncontrolled bleeding in the gastrointestinal tracts and the brains of the subjects. In the second study performed by the same research team on the same group of volunteers, the aspirin and placebo groups were compared to see whether the former would have a lower rate of persistent physical disability and dementia, and whether they would live longer, since that was the point behind taking aspirin. However, they again discovered that the aspirin group did not live any longer and were no less likely to have dementia and physical disability than those in the placebo group. And, again, they were 38% more likely to suffer a major hemorrhage. The third study, also performed by the same researchers on the same volunteers, compared the aspirin and placebo groups to see who were more likely to die, along with the cause for it. Interestingly, aspirin-takers were 14% more likely to die of any cause during the follow-up period of almost five years in comparison to the placebo takers. Cancer posed the biggest risk of death for the aspirin group, as they were 31% more likely than placebo users to die of cancer. When combined, these studies showed that aspirin was not a great way to prevent heart disease or to prolong a disability-free life, partly because it did not actually achieve any of those intended goals, and partly because getting a major hemorrhage is a serious side effect that could also prove fatal. If this surprises you because you were led to believe that aspirin is a natural substance, this is not strictly true. Salicylic acid, the active ingredient in aspirin, is derived from the willow tree, from jasmine, and from many common foods, but the salicylic acid in modern aspirin is artificially synthesized in laboratories and is thus no longer natural. Therefore, instead of artificially thinning your blood with artificial drugs, choose to eat foods rich in salicylic acid, such as: artichokes, apricots, avocados, blackberries, blueberries, broccoli, cauliflower, coffee, cucumber, eggplant, grapes, legumes, mushrooms, oranges, peaches, pineapples, plums, radishes, spinach, strawberries, sweet potato, tomatoes, watermelon, and all nuts and seeds.